Academy Award-winning filmmaker Jonathan Demme will film the final twoshows of Neil Young’s critically acclaimed Le Noise concert tour, which takes place tonight at Young’s former stomping ground, Toronto’s Massey Hall. The footage from tonight and tomorrow night’s show at the samevenue will become part of a film chronicling Young’s 2011 tour in support of his Grammy-and Juno Award winning album Le Noise. 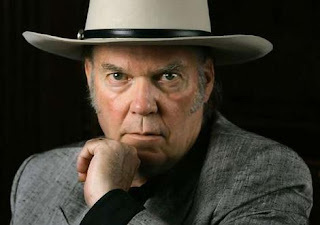 The film, expected for release later this year, is the third and final film in a series of Neil Young concert movies shot and directed by Demme. The previous two films are Heart of Gold, released in 2006, and received critical praise followed by the equally applauded Trunk Show, which screened internationally in 2009. Demme’s film credits include the Oscar-winning dramas Philadelphia, Silence of the Lambs, and Rachel Getting Married. Neil Young: Heart of Gold was filmed over two nights in August 2005 at Nashville’s Ryman Auditorium and documents songs from his album Prairie Wind. Neil Young Trunk Show featured scenes from two shows that Young performed at the historic Tower Theater in Upper Darby, PA, on his 2007 Chrome Dreams II theater tour.